Self-contained fold down stabilizer system allows the operator to quickly setup the machine. One person transport and setup. Straddle base available in 5', 10' and 15' models. 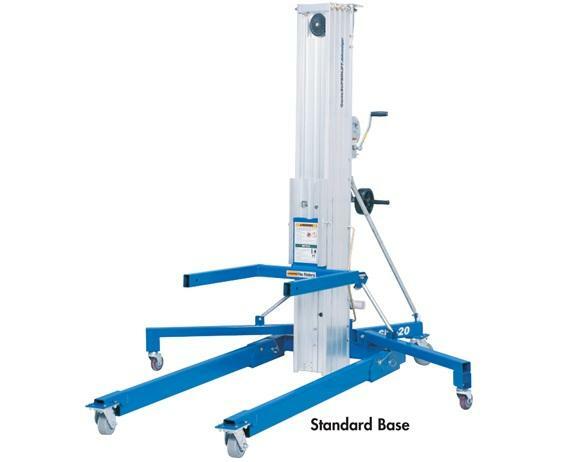 Straddle base can easily lift a standard 48" x 48" pallet. Adjusts without tools and can fit through standard doorways in the narrow position while handling wide loads in the wide position. Strong optional aluminum Flat Forks are designed for handling pallets, plus base and outriggers are welded for extra support. Easily transported and saves space for storage. 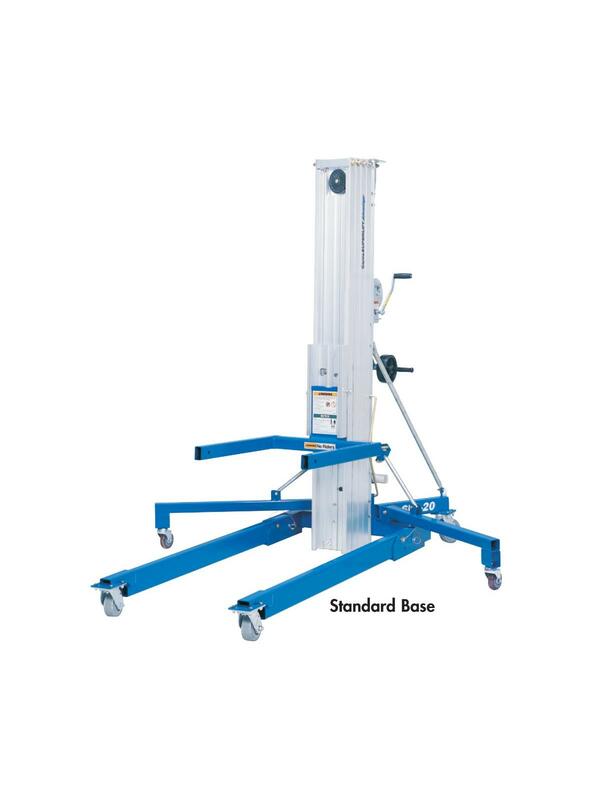 Heavy-duty extruded aluminum frame is designed for compactness, strength, and rigidity, plus extra strong mast features a 4 point roller system between the columns, eliminating the need to adjust or service rollers. Quiet winch system to minimize noise. Easy to understand instructional and safety decals meet ANSI standards. Operators Manual is easily accessible in weather-proof container on machine. Attractive powder coated paint won't chip, peel or crack. FOB Shipping Point.